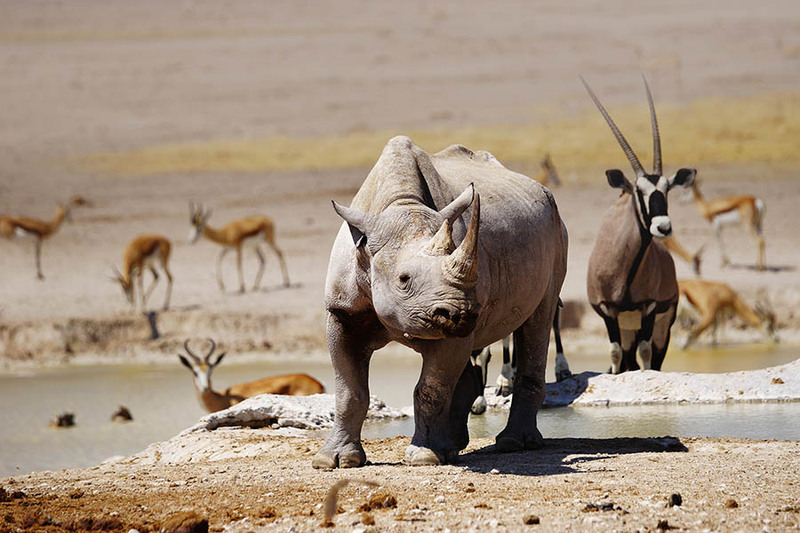 Explore the highlights of Namibia on this 9 day self drive – from the sand dunes of Sossusvlei to the salt pans of Etosha. After photographing the rippling sand dunes drive to the coast and enjoy a couple of nights in the colonial town of Swakopmund before heading north into the remote landscape of Damaraland, where ancient cave paintings will take you back in time in Twyfelfontein. Finish your time in Namibia with 3 nights in Etosha National Park, where you’ll look out for elephants, lions and herds of zebra in the desert landscape. 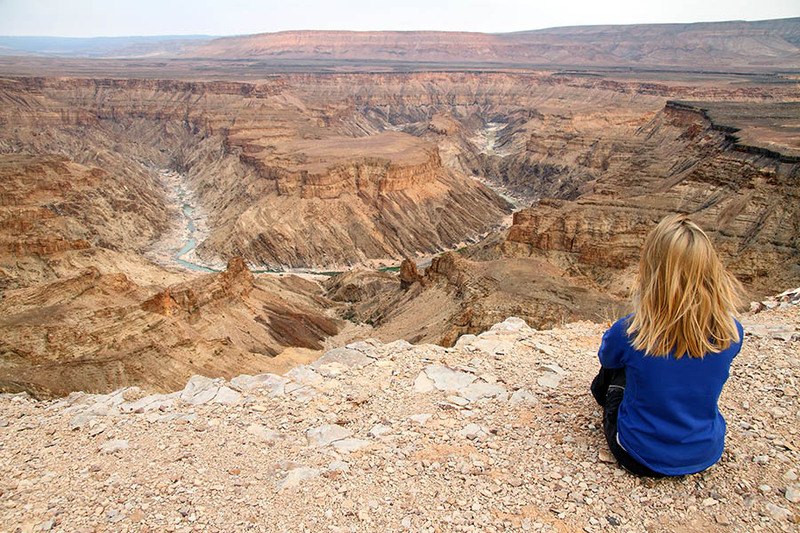 This itinerary is a great introduction to the iconic highlights of Namibia. On arrival in Namibia you will be met at the airport and assisted in picking up your car hire before driving to Sossusvlei, to check in at the Namib Desert Lodge for 2 nights. Today you can explore the simple beauty of Sossusvlei, the striking, red dunes where gemsbok (antelope) and ostriches wander under the morning sun. The ancient trees in the Deadvlei cast spiky dark shadows on the white cracked ground – so make sure you bring your camera today; it’s such a picture perfect landscape that you’ll be snapping away all day. Driving towards the seaside town of Swakopmund you’ll pass through the Welwitschia Plains, where you can look out for the bizarre welwitschia plants, made of only 2 leaves that are gradually split into strips by the wind - some of which are over 1,500 years old. You’ll also pass through the Moonlandscape where rippling hills and rocky valleys create an ‘other-worldly’ scene. Arriving at the Atlantic Ocean, you’ll check into the Swakopmund Hotel for 2 nights. Swakopmund is a popular seaside town where lots of Namibians spend their holidays. Spend your time here enjoying the sea air, eating local oysters and admiring the German colonial architecture throughout the centre. 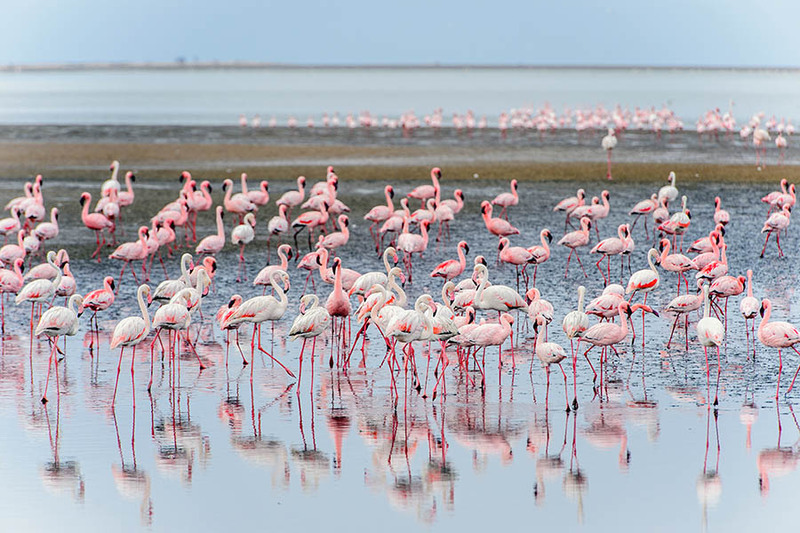 Out of town, you can visit the flamingo filled lagoon of Walvis Bay or take a dolphin cruise down the coast. Leaving the coast you’ll head north into Damaraland, passing the huge seal colonies of Cape Cross. Check into the Damara Mopane Lodge for 1 night before driving on to Twyfelfontein. Home to the 2,500 year old rock carvings, these simple sketches of lions, cattle and humans engraved into the red rock are humbling and beautiful – sure to be a real highlight of your trip to Namibia. This morning you’ll pass magnificent Mount Brandberg on the way to Etosha National Park, where you’ll check into the Etosha Village for 1 night. Spend the afternoon enjoying the wildlife that fills the national park – you’ll spot giraffes munching on leafy foliage, herds of zebras galloping across the desert and tiny antelopes grazing on the tufts of grass that manage to grow in the dry ground. Driving to the eastern side of the park you’ll check into the Mokuti Etosha Lodge for 2 nights. We’ve included 2 full days to explore the park – watch out for elephants trekking across the great salt pan, lions gathering around the waterholes and rare black rhinos hiding beneath low trees. The birds of Etosha are just as impressive as the mammals; turquoise bee-eaters fly from shrub to shrub while hornbills observe the landscape from the perch in the treetops. 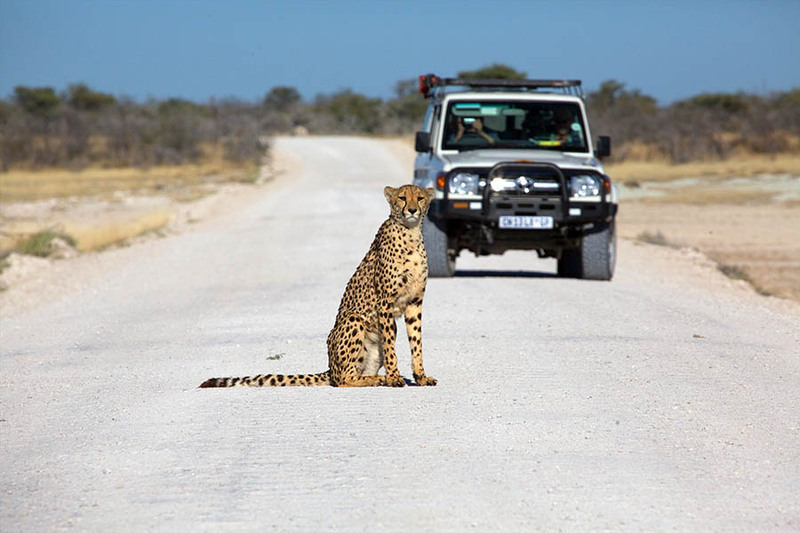 The roads in Etosha are good – you’ll be able to explore the park at your leisure for 2 days. Today is your final day in Namibia; you’ll drive back to Windhoek Airport where you’ll drop off your rental car and catching your onwards flight.